LOTS OF LOVE and VISIONS !! Read Activist Trauma Support leaflet on the sickening effects of police infiltration, how to heal, support each other – and find more resources (on PTSD, self-care in activism..), contact info, on their website. “Resisting surveillance: It’s not just about the metadata. The infiltration and physical surveillance of activists. “SENG’s mission is to empower families and communities to guide gifted and talented individuals to reach their goals: intellectually, physically, emotionally, socially, and spiritually. Check the Resource Library !! This article explores depression in gifted individuals and offers suggestions on how to help, notably through touch, a powerful sensory response to emotional difficulties, and bibliotherapy, where reading about history and others people’s great struggles and achievements can bring support. 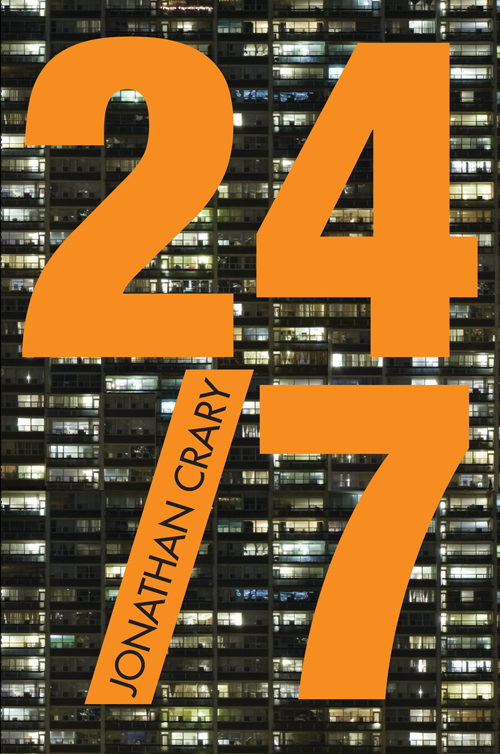 “24/7: Late Capitalism and the Ends of Sleep explores some of the ruinous consequences of the expanding non-stop processes of twenty-first-century capitalism. The marketplace now operates through every hour of the clock, pushing us into constant activity and eroding forms of community and political expression, damaging the fabric of everyday life. A new report by a group of dissident health professionals and human rights activists argues that the American Psychological Association secretly collaborated with the administration of President George W. Bush to bolster a legal and ethical justification for the torture of prisoners swept up in the post-Sept. 11 war on terror. “Human rights defenders, journalists, and activists continue to operate in a terrain fraught by ever-evolving risks to their physical and psychological integrity, along with those of their family, friends and associates. Originating from FACT’s extensive work within mental health and wellbeing, the exhibition explores the complex relationship between technology, society, and mental health. Suicide as Escape from Self, is a theory developed by psychologist R. Baumeister, exposed in the 90’s journal article accessible here. The useful responses are well-known too. 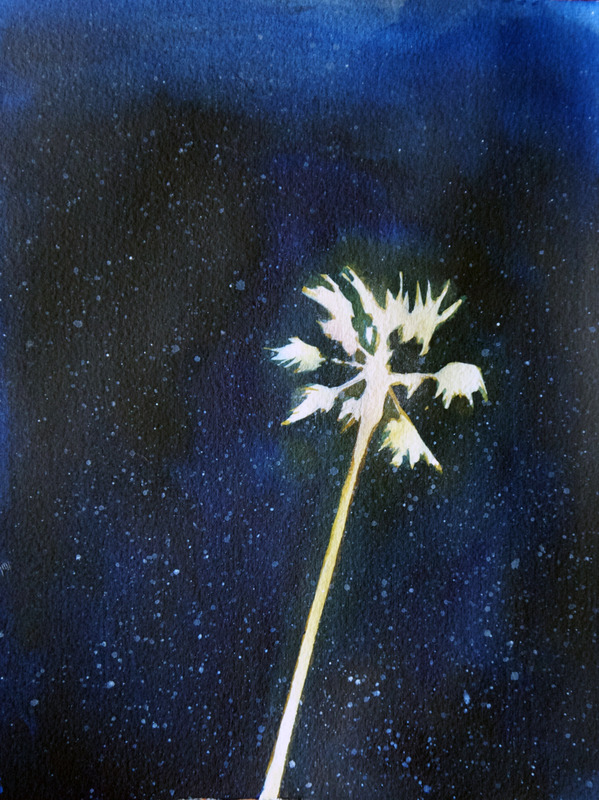 Reach out. Ask. Listen. Take casual mentions of suicide seriously. Be persistent about checking on someone. Don’t try to cure or fix anyone; that’s out of your league. Just tell them you care, and point them to professional resources. Wikipedia has a list of English-language suicide prevention hotlines. Help Guide has a good overview of what we know about prevention generally, and how to help the potentially suicidal. We need to remember Aaron by supporting free culture, and by limiting prosecutorial abuse. But we also need to remember Aaron by taking care of each other. Our community is unusually welcoming of people disproportionately at risk, but we are also unusually capable of working together without always building close social ties. Github is great for distributing participation, but it is lousy for seeing how everyone is doing. The fifth edition of the Diagnostic and Statistical Manual of Mental Health, a.k.a DSM5, published in 2013 by the American Psychiatric Association, has a chapter of its section 2 dedicated to the diagnosis of “Disruptive, Impulse-control, and Conduct Disorders”. These refer to “conditions involving problems in the self-control of emotions and behaviors”. They are are “unique in that these violate the rights of others and/or bring the individual into significant conflict with societal norms or authority figures”. 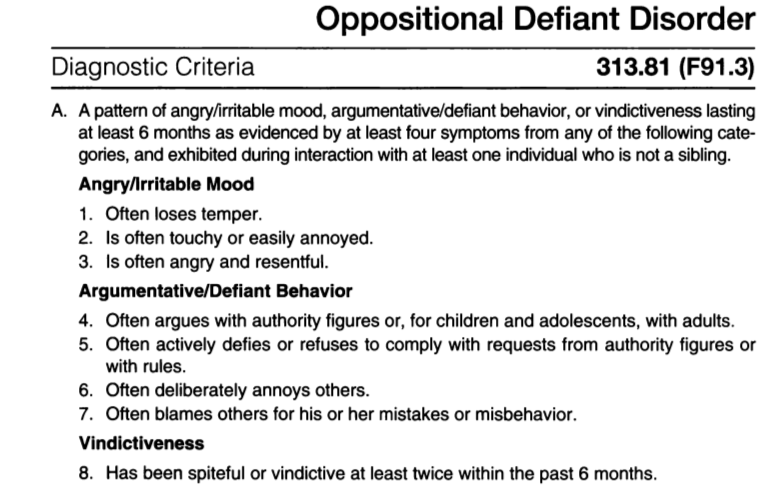 Within the disruptive disorders group is the rather irritating ODD, namely Oppositional Defiant Disorder : “A pattern of angry/irritable mood, argumentative/defiant behavior, or vindictiveness lasting at least 6 months as evidenced by at least four symptoms from any of the following category, and exhibited during interaction with at least one individual that is not a sibling”. 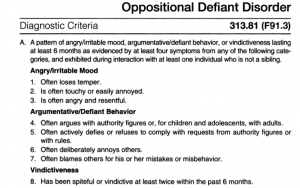 The DSM warns that individuals with ODD will “typically not regard themselves as angry, oppositional or defiant. Instead, they often justify their behavior as a response to unreasonable demands or circumstances.” Also “it appears to be somewhat more prevalent in males than females, prior to adolescence”. 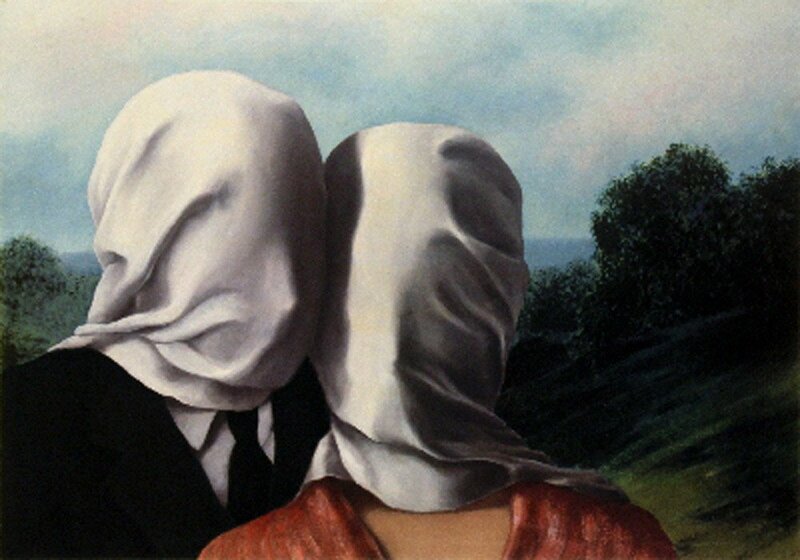 These types could seem like sound, possibly even brilliant, people we like to meet. Some in the profession have spoken against potentially debilitating categorizations. For psychiatrist Bruce Levine, for instance, ODD is part of an arsenal of diagnoses which pathologize, to better neutralize, anti-authoritarian individuals. 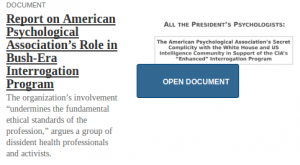 “In my career as a psychologist, I have talked with hundreds of people previously diagnosed by other professionals with oppositional defiant disorder, attention deficit hyperactive disorder, anxiety disorder and other psychiatric illnesses, and I am struck by (1) how many of those diagnosed are essentially anti-authoritarians, and (2) how those professionals who have diagnosed them are not. Anti-authoritarians question whether an authority is a legitimate one before taking that authority seriously. Evaluating the legitimacy of authorities includes assessing whether or not authorities actually know what they are talking about, are honest, and care about those people who are respecting their authority. And when anti-authoritarians assess an authority to be illegitimate, they challenge and resist that authority—sometimes aggressively and sometimes passive-aggressively, sometimes wisely and sometimes not. ” In the nearly 25 years that EFF has been defending digital rights, our belief in the promise of the Internet has only grown stronger. The digital world frees users from many limits on communication and creativity that exist in the offline world. But it is also an environment that reflects the problems in wider society and grants them new dimensions. Harassment is one of those problems. Online harassment is a digital rights issue. At its worst, it causes real and lasting harms to its targets, a fact that must be central to any discussion of harassment. Unfortunately, it’s not easy to craft laws or policies that will address those harms without inviting government or corporate censorship and invasions of privacy—including the privacy and free speech of targets of harassment. But, as we discuss below, there are ways to craft effective responses, rooted in the core ideals upon which the Internet was built, to protect the targets of harassment and their rights. This post explains our thinking about combating online harassment, and what we hope EFF’s role can be in that effort given the scope of our work. It isn’t our last word, nor should it be; this is not a simple issue. Instead, we want to outline some of the things that we consider when looking at the problem and sketch out some elements for effective responses to it. In 1975 psychologists P. Zimbardo (also known for the Stanford Prison Experiment) and G. White exposed the results of an experiment designed to test psychological side effects of surveillance, and more precisely, the negative effects of surveillance on freedom of speech. 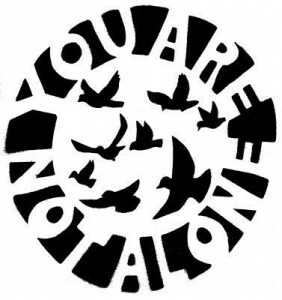 Their focus was on subjects “de-individuation” which refers to someone giving up on their individuality, inhibiting their self-expression, and “reactance”, which is defined as an “aversive motivational state experienced when a person thinks one of his freedom has been threatened or eliminated”. The authors not distinguishing between psychological integrity and actual constitutional rights is in part what makes that article still so relevant today, 40 years and a considerable extension of the domain of surveillance later. This research, they conclude, demonstrate that surveillance does indeed tamper with freedom of speech, and not only that, but that these “chilling effects” also come “at a price of increased disrespect for the government and society itself “. That sounds counter-productive, doesn’t it ? Americans are becoming more aware that one’s private life may be under surveillance by government agencies and other institutions. Two social- psychological theories are discussed that can be applied to the effect of potentially aversive surveillance on opinion inhibition. The deindividuation- individuation hypothesis predicts that people will avoid opinion expression, while the psychological reactance hypothesis predicts opinion assertion and attack upon threatening agents. To test these notions, a reactance-arousing threat (videotaping of marijuana opinions which would be sent to the FBI) was orthogonally crossed with actual performance of the threatened action. The results are reported. How will surveillance and privacy technologies impact on the psychological notions of identity ? “One of our colleagues has been the target of a sustained campaign of harassment for the past several months. We have decided to publish this statement to publicly declare our support for her, for every member of our organization, and for every member of our community who experiences this harassment. She is not alone and her experience has catalyzed us to action. This statement is a start. Useful facts about psychological crash, crisis response suggestions, how to write down advance directives for friends / carers ..
” When you or someone close to you goes into crisis, it can be the scariest thing to ever happen. You don’t know what to do, but it seems like someone’s life might be at stake or they might get locked up, and everyone around is getting stressed and panicked. Most people have either been there themselves or know a friend who has been there. Someone’s personality starts to make strange changes, they’re not sleeping or sleeping all day, they lose touch with the people around them, they disappear into their room for days, they have wild energy and outlandish plans, they start to dwell on suicide and hopelessness, they stop eating or taking care of themselves, or they start taking risks and being reckless. They become a different person. They’re in crisis. 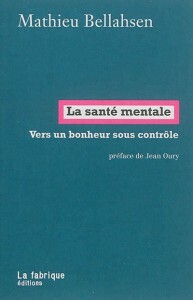 Entretien vidéo avec le psychiatre Mathieu Bellahsen auteur de “La Santé Mentale – Vers un bonheur sous contrôle” (Ed. La Fabrique), sur Mediapart par Sophie Dufau. 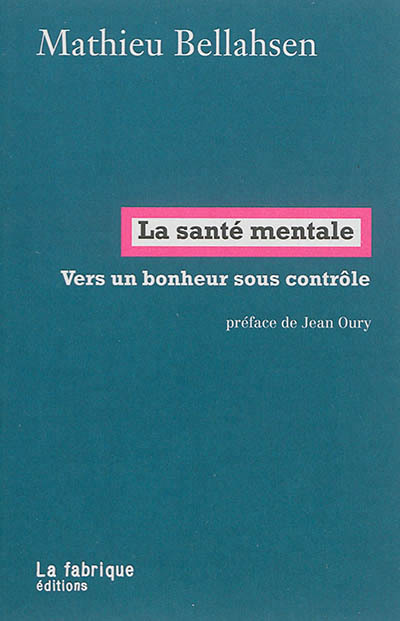 – « La santé mentale et le bien-être mental sont des conditions fondamentales à la qualité de la vie, à la productivité des individus, des familles, des populations et des nations, et confèrent un sens à notre existence tout en nous permettant d’être des citoyens à la fois actifs et créatifs », écrit l’OMS en 2005. – « Une personne en bonne santé mentale est quelqu’un qui se sent suffisamment en confiance pour s’adapter à une situation à laquelle elle ne peut rien changer », estime le Centre d’analyse stratégique en 2010. – La prise en compte de la santé mentale permet « d’améliorer la disponibilité des ressources économiques », peut-on lire dans le Livre vert de l’Union européenne, publié en 2005. Read / Download / Share FIRST AID FOR EMOTIONAL TRAUMA, An Icarus Project Information sheet. Trauma cuts us off from our bodies. 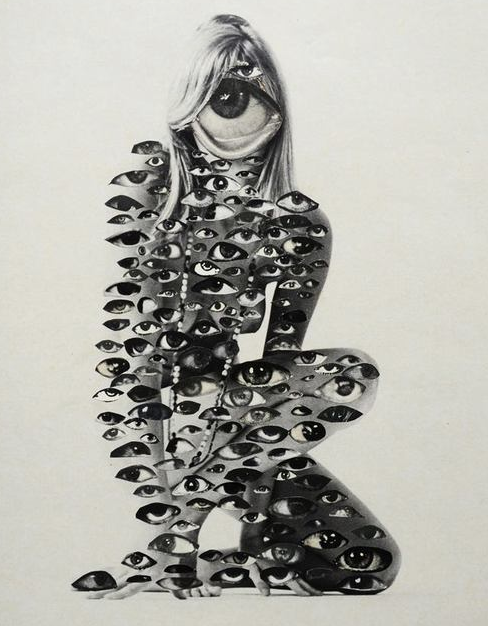 When we are in overwhelming danger, we dissociate or ‘leave our bodies’ as a protective measure. Later this protective mechanism becomes stuck and counterproductive. The key to healing trauma is to return to our bodies, by feeling our physical sensations and making our bodies safe and alive again. 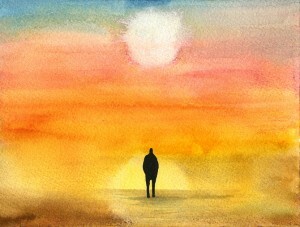 Ask, “How do you know that you are sad? Is there tightness in your chest or throat? How do you know you are afraid? 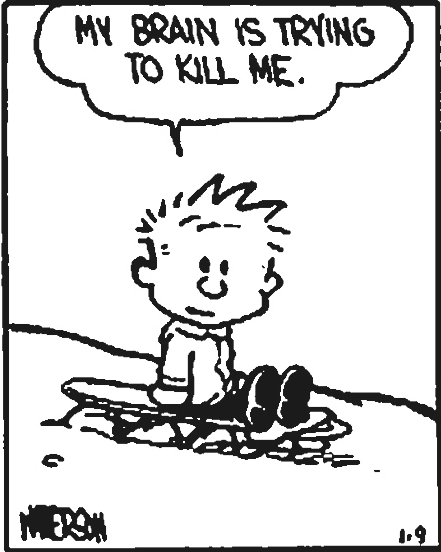 Is there a cold feeling, or a sinking feeling in your stomach? Feel it fully. How large is the feeling? Is it changing? What do you feel next?” Listen without interruption and give plenty of time to feel and respond. Grounding and resourcing yourself will also help the other person. Keeping eyes open usually is best for focusing on body sensations. If the person can’t feel their body at all, ask, “Can you feel your feet on the ground? Your pelvis sitting on the chair?” Grasp their hand or shoulder and say “Can you feel my hand?” Always ask before touching. If lying down, ask them to sit up. Ask to walk around slowly and feel their legs and feet. Or gently hold & press their feet to the ground. Free psychedelic literature to download in MAPS (Multidisciplinary Association for Psychedelic Studies) resources pages, digital books covering History of Psychedelic therapy, Psychedelics and Culture, Psychedelic Experience… It’s HERE. Go to MAPS (Multidisciplinary Association for Psychedelic Studies) for psychedelic harm reduction resources and download manual ! “Mental health first aid has been defined as the help provided to a person developing a mental health problem or in a mental health crisis. The first aid is given until appropriate professional treatment is received or until the crisis resolves. Training courses started to be developed in Australia by Betty Kitchener, and Anthony Jorm in 2001, then spread to other countries (…)”. It aims apparently to “increase mental health literacy, expand knowledge on how to help someone in a psychological crisis, connect individuals with professionals, and reduce stigma”. With this in mind, you can explore MHFA Australia material on how to pick up signals, how to approach and help someone with depression, psychosis, suicidal thoughts and behaviors, panic attacks, drug or alcohol use problems… or help returning to work after depression. Also, it has guidelines adapted to different cultures. “In order to improve the quality of the mental health first aid techniques being taught to the public, MHFA Australia and researchers in the Mental Health Literacy Research Team lead by Professor Tony Jorm (now the Population Mental Health Group at the University of Melbourne) have developed guidelines on what constitutes best practice first aid, as informed by expert consensus (i.e., consensus-based guidelines). (…) Guidelines in the following areas have been developed, and are available for free download below. These guidelines are a general set of recommendations about how you can help someone who may be experiencing ———. Each individual is unique and it is important to tailor your support to that person’s needs. These recommendations therefore will not be appropriate for every person who may have ———-. Also, the guidelines are designed to be suitable for providing first aid in developed English-speaking countries. They may not be suitable for other cultural groups or for countries with different health systems. Although these guidelines are copyright, they can be freely reproduced for non-profit purposes provided the source is acknowledged. sources: wikipedia, mhfa.com.au, keccs.org, mad in america. 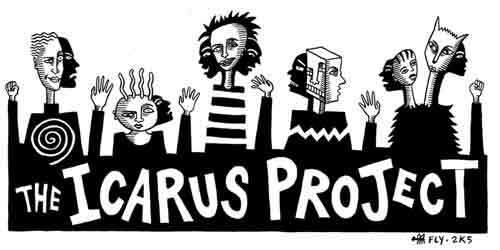 The Icarus Project is a “radical mental health support network, online community, and alternative media project by and for people struggling with extreme emotional distress that often gets labeled as mental illness.” You can read their mission statement, here. Principles like access, transparency, looking beyond the medical, self and/or alternative education, all guide a relaxed yet resolute, diffracting yet convergent, initiative for the well-being of extra-ordinary people. Browsing through their pages you’ll find they provide a lot of resources (articles, forums, etc.) to help one “navigate the space between brilliance and madness”. It will speak to whoever is confronted to “madness” at some point in their life, one way or another, in a world that is constantly LOSING IT in many aspects. Taking care of oneself or helping someone in a psychological crisis can be tricky. 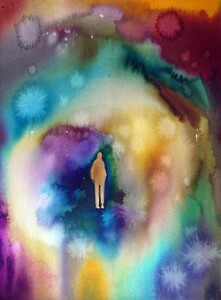 Not everybody is experienced or comfortable in dealing with different, awkward, or extreme states of consciousness. As a matter of fact, many people it seems become clueless when confronted to psychological distress, even their own… Some psychological states are indeed impressive, and some can actually threaten a person’s mental and physical integrity. But with appropriate reactions (often rather simple ones, like keeping the voice down or introducing oneself), informed attention, kindness and clear intentions, a little help can go a long way in supporting recovery or preventing harm. Even better is the care we can provide as a group, attentive, resilient, aware and creative, because it will be more sustainable, and so the recovery or at least the safety of the person will stand more chances too in the long term. So how to take care of oneself when the mind is troubled ? How to take care of friends, of strangers, of friends who suddenly become strangers ? Breaking the taboo around “madness” in one’s community can be a good start, making a safe space, becoming a bit more literate in psychology / caregiving, aware and confident… By not being afraid to do good ? Following is a small selection of handouts, information sheets, guides and zines I found on Icarus website relative to psychological care. They are all interesting to read, print, post, share. They can give you insight and clues and confidence. 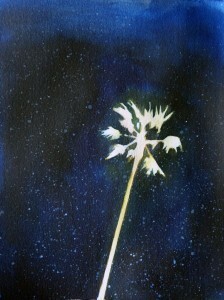 All Icarus Project material is licensed under Creative Commons BY-NC-ND. Excerpt : “Applying harm reduction philosophy to mental health is a new but growing approach. It means not always trying to eliminate “symptoms” or discontinue all medications. It recognizes that people are already taking psychiatric drugs, already trying to come off them, and already living with symptoms — and that in this complicated reality people need true help, not judgment. It encourages balancing the different risks involved: the harm from extreme states, as well as the harm from treatments such as adverse drug effects, disempowering labels, and traumatic hospitalization. S’il réagit aux antidépresseurs, il peut aider à prévenir la maladie de Parkinson… Depuis quelques années, la recherche accumule les indices qui font de cet organe rien de moins qu’un deuxième cerveau. Avec Michel Neunlist, directeur de l’unité 913 de l’INSERM. “Il possède autant de neurones que la moelle épinière et pourtant, il ne loge pas sous notre crâ^ne, mais dans notre ventre ! Lui, c’est le “système nerveux entérique” ou SNE, un réseau dense de neurones étroitement connectés entre eux, qui enveloppe tout l’intestin.